Monday, September 17, 2012, at 4 p.m.
Women Occupy San Diego has planned an event and will meet at Canvas For a Cause to show banners and signs on the Robinson Avenue bridge over the State Route 163 for the national No GMO/Monsanto day of action. Occupy San Diego is also asking everyone to meet at 4 p.m. to hear about GMOs and a safety reminder about being on the bridge. When WomenOSD takes to the Robinson Avenue bridge with their signs, OSD plans to go further north and take the University Avenue bridge, also over State Route 163, with OWS signs acknowledging the movement’s 1 year anniversary. We will be able to see each other from the two bridges. At 6 p.m., OSD will march west on University and then south on 6th Avenue to Laurel Street (Redwood Circle). 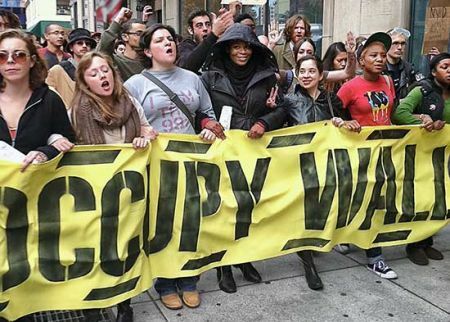 The march will end at Balboa Park for a free speech, open mic, drum circle and whatever else people want to do to stand in solidarity with Occupy Wall Street on our first birthday. Please invite your friends and pass along this event information. Plan on bringing your own signs/banners and letting OWS know we are still standing in solidarity with them. We will be taking pictures to send to OWS in New York so they can see it for themselves.